One of Norway’s biggest companies finally appointed a woman as its new chief executive on Monday, and Norsk Hydro’s shares were trading up nearly 2 percent by early afternoon. 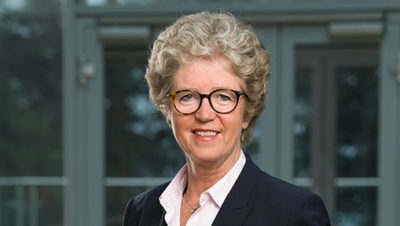 Hilde Merete Aasheim, who’s had a solid career at major Norwegian firms, will take over from Svein Richard Brandtzæg who wanted to step down after 33 years at Hydro, the last 10 as CEO. Aasheim has more than 30 years of experience herself in Norwegian and international industry, with what Hydro’s chairman Dag Mejdell called “impressive results” tied to improvement and change processes. “Hilde has what it takes to strengthen Hydro’s position as a leading aluminum company in the world,” Mejdell said. Aasheim takes over at a time when Hydro has been struggling for more than a year with a serious crisis at its Alunorte plant in Brazil, the world’s largest alumina refinery. It was forced to cut production in half after heavy rains flooded the plant last winter and led to spills of untreated rainwater that threatened the local community’s drinking water supply. In addition to creating an environmental threat the production decline also led to cuts elsewhere and Hydro’s stock fell 36 percent during the course of the year, while operating profits fell 30 percent. Newspaper Dagens Næringsiv (DN) reported earlier on Monday that Brandtzæg nonetheless received a bonus of NOK 1.7 million last year, bringing his total compensation to NOK 15.2 million including his pension package. The bonus was down around 30 percent from the year before, however. She said she also hopes to be an inspiration and role model for other women, as she becomes the first woman to ever win the top spot at a major Norwegian company. Neither Hydro, Statoil or Yara (where she’s been a member of the board of directors) has ever had a female CEO. She’ll formally take over on May 8.